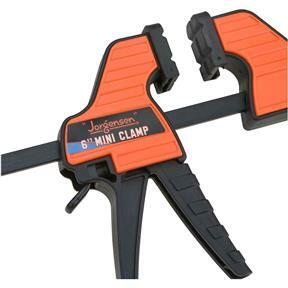 The Jorgensen mini bar/spreader clamp has a pistol grip design that allows you to use one hand to apply pressure. The stationary head can be removed and fixed to opposite end of the bar to use as a spreader and the release trigger allows for quick and easy release. The clamp also has soft pads to protect your work. 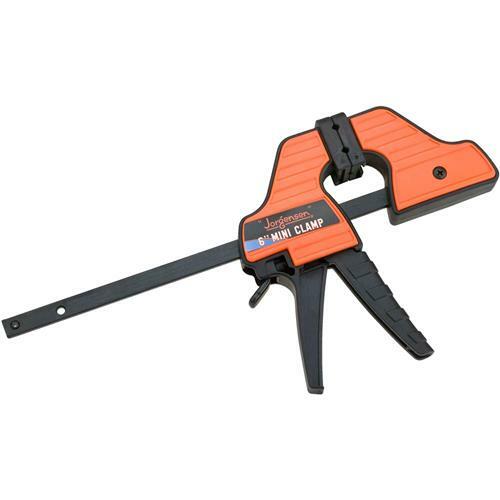 Ideal for light duty, hobby, or craft projects. The 6" clamp has a spreading capacity of 14-1/4", a throat depth of 2-1/4", and a load limit of 150.